This circuit is suitable for a variety of uses. If you have a solar powered 12 Volt lead-acid battery power source, the circuit can be used to efficiently power lower voltage devices. It can be used to provide power to devices that normally use a set of small batteries for power. Common voltages such as 1.5V, 3V, 4.5V, 6V, 7.5V, and 9V can be produced by this circuit. 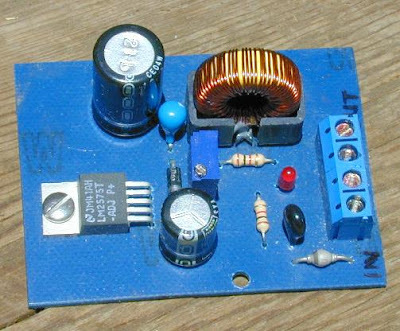 The circuit has been used to power small fans, portable radios, a miniature TV, and more. Another application for this circuit is as a linear current booster (LCB). Common LCB uses include running motors and other devices directly from a solar panel with no battery. In the LCB mode of operation, it is possible to use the circuit to change a low current solar panel input to a higher current (but lower voltage) output.